Respecting the privacy of both existing and prospective clients is integral to the services we take pride in providing. Any information we receive via email or telephone will be held in strict confidence, and never sold nor shared with a third party. 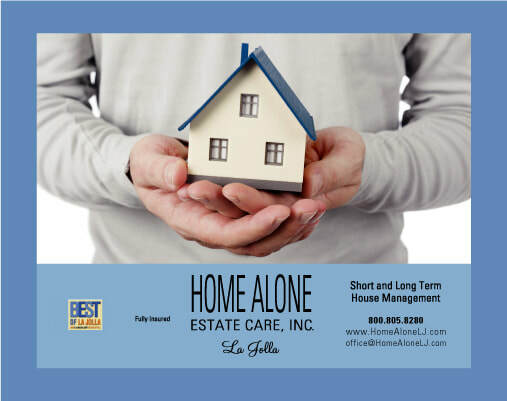 Home Alone is committed to great service, customer satisfaction, and the complete management of its clients’ homes. We are a liability-insured company. Our services cannot be used as a replacement for homeowner's insurance.